Over the last almost two decades Da Nang has spiralled upwards and outwards as Vietnam’s third city and a distinct feeling that much more is to come hangs in the air. Da Nang was named as a municipal province in 1996 when it was spun off from Quang Nam, and today the city boasts an impressive skyline while resorts and hotels line up along the coast. What sets Da Nang apart from many other developing Southeast Asian cities is that to a large degree the people have benefited from changes. Where once the landstrip to the east of the city was a wasteland of poverty, 10 bridges have been built connecting the two city parts. Meanwhile, with the resorts has come an influx of foreign workers – at last count in 2013 more than 4,000 had chosen to make Da Nang their home -- and many more have made a break from Hanoi and Ho Chi Minh City. The city streets are lined with international quality dining and drinking options and it’s not just the foreign presence that can be felt, but a more modern, exciting local scene has emerged comfortably alongside as well. Travellers using Da Nang as either a transit route to the more touristed Hoi An or as a beach resort break will notice Da Nang’s popularity among short-stay Asian travellers and won’t see much in the way of the marketing of cultural aspects of the city. To most, the "ancient" side of the city resides solely in the Cham museum and maybe a little towards the fishing villages further north. But exploring away from the main drag of Bach Dang will unearth buckets of colonial architecture, an ancient citadel, a huge street food scene packed full of dishes you’ll not see anywhere else in Vietnam and a vibrant atmosphere. Now’s the time to sample it for yourself, because those clever folks on the Da Nang tourism board are catching on and it won’t be long before you are being herded through on a tour group just like all those folks in Hoi An. The name Da Nang will have a familiar ring to anyone acquainted with America’s military action in Vietnam, as it was home to one-fifth of all US service people, and a transit or R&R spot for most of the rest, making it one of the most occupied -- and heavily defended -- cities in South Vietnam during the war period. Eventually, however, it fell to the North Vietnamese in 1975 with hardly a bullet fired. During the French colonial period, Da Nang was called Tourane, a name still used by some of the hotels in the city. The French also used it as a landing point during their war in Vietnam; when the French established a garrison on the nearby Son Tra peninsula (dubbed Monkey Mountain by US troops) more soldiers died from disease building it than during the associated fighting. Today a small cemetery near Tien Sa Beach stands in their memory. 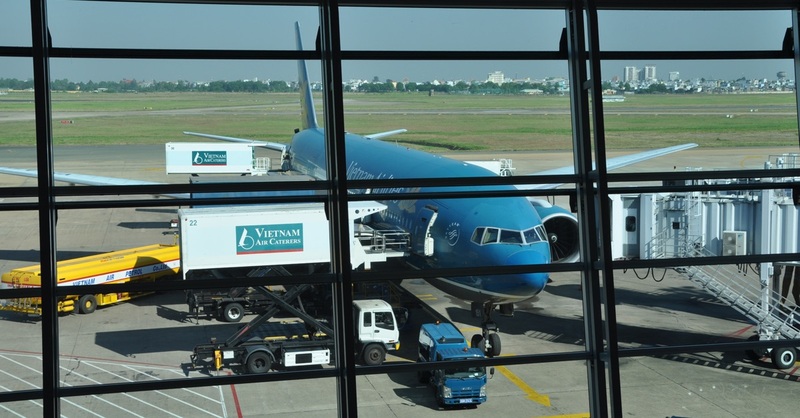 Most visitors who pass through Da Nang are on their way to Hoi An, one of Vietnam’s top tourist destinations. Those who linger are most likely seeking sun at gorgeous Non Nuoc (China Beach). In Da Nang city itself there’s the excellent Cham Museum, a great primer for a visit to My Son further to the south, a large Cao Dai temple and a pleasant riverfront boulevard, while the immediate area includes Marble Mountain, Monkey Mountain and Ba Na hill station. Many travellers who show up in Da Nang find the city dull and end up heading elsewhere fast. It’s true that Da Nang is a more difficult city to visit than other spots in Vietnam and you can’t experience the best of it just by walking around and seeing what you find, as you can in Nha Trang or Hoi An. You really have to seek out the hidden corners and some advanced preparation can really enrich your experience. In 2013 Da Nang attracted more than three million visitors and of those only 600,000 were Westerners -- the other 2.4 million were Asian travellers. For accommodation this means that standards are high and (for a city) cheap -- the best hotels and guesthouses are all well located and priced at around $20 to $40 a night, including an Asian buffet breakfast. (If you don’t want the breakfast, see if you can get a rate without and eat elsewhere.) For budget accommodation, outside the city you can grab a decent room for $10 to $15 a night, but in downtown Da Nang the standard of guesthouses and hotels in this price range drops to almost unbearable, with a few badly located exceptions. If you are travelling on a tight budget, look at the guesthouses on the east side of the river on Tran Hung Dao or near the beach in Ngu Hahn Son district. Travel to the city from here will only cost a couple of dollars and there are plenty of places to eat, drink and relax. For international standard medical treatment most resorts, hotels and taxis will know the Family Medical Practice on Nguyen Van Linh Street, which is available for emergencies and callouts around the clock, seven days per week. They can also help arrange medical evacuation if needed, dealing directly with most travel insurance companies on your behalf. Charges for a consultation start at around $70. A better alternative may be to go straight to a hospital -- Da Nang has many and believe us, if you’ve had a bad motorbike accident they know what they are doing. The main problems are after-care and low hygiene standards. Use the above map to find specific destinations in and around Da Nang which are listed on Travelfish. Bed icons indicate a guesthouse, hostel or hotel, the knife and fork is an eatery or bar and the four-way circular thingy marks sights, attractions and other points of interest. Click on any icon for a short pop-up and a direct link to the page for that spot. If you are in the area, use the teardrop icon near the top left to show your position on the map (you'll need to allow position sharing for this last feature to work).